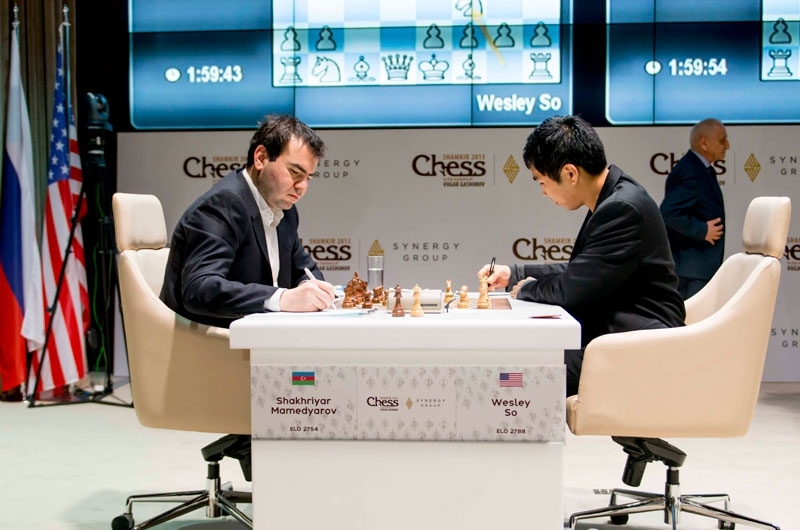 Wesley So and Shakhriyar Mamedyarov in the sixth round of the Gashimov Memorial chess tournament in Shamkir, Azerbaijan. PHOTO BY SHAMKIR CHESS 2015. 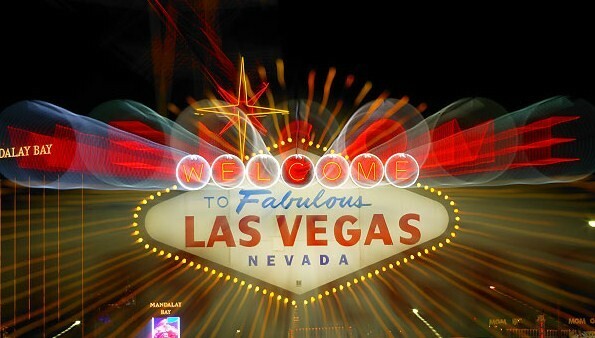 LAS VEGAS – With just three rounds left, the stage is set for a dramatic finish in the 100,000-euro Gashimov Memorial chess tournament in Shamkir, Azerbaijan. World champion Magnus Carlsen of Norway and Wesley So retained their 1-2 places in the standings as all but one game ended in draws in the sixth round on Thursday. Carlsen drew with Anish Giri of France to set the pace with 4.5 points, while So also drew with Azerbaijan’s Shakhriyar Mamedyarov to follow Carlsen, just half-a-point behind. At third is former world champion Vishy Anand of India, with 3.5 points, his only win against four draws coming with that fifth-round shellacking of So. Fabiano Caruana of Italy, who regained his No.2 world ranking, managed to score the only victory in the 10-man tournament. He outplayed former Russian world champion Vladimir Kramnik, but his first tournament win hardly moved him up the standings. The 22-year-old Caruana is tied at fourth and fifth places with Kramnik, each with three points. To be considered a contender, Caruana, who won six straight during the Sinquefield Cup in Saint Louis in 2014, must beat So in Friday’s pivotal seventh round. Playing with the black pieces, So will have the slight disadvantage against Caruana, who is assisted by a highly-regarded coach and second, grandmaster Vladimir Chuchelov. In the other drawn sixth round games, Maxime Vachier-Lagrave drew with Michael Adams, and Anand drew with Rauf Mamedov.